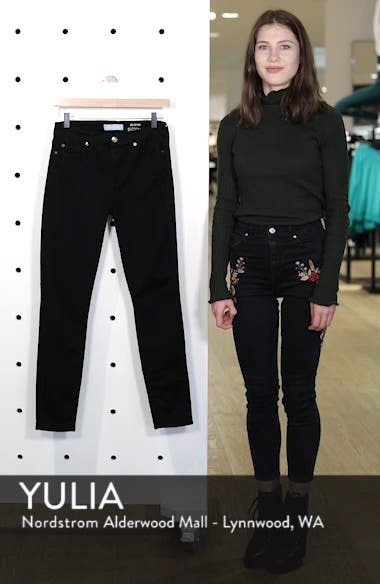 Made from ultrasoft and lightweight b(air) denim, these streamlined skinny jeans are cast in an inky black wash that transitions seamlessly from day to night. Choose a sizeTrue to size. 23=00, 24=0, 25=0-2, 26=2, 27=4, 28=6, 29=8, 30=8-10, 31=10, 32=12, 33=14, 34=16. Mid rise.